The play is the thing… or is it the movie? The timeless tales of William Shakespeare made an almost immediate transition to cinema once the cameras started rolling, and for over 100 years adaptations of The Bard have flourished. 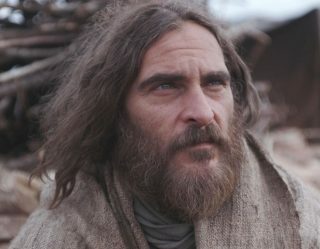 He is, according to The Guinness Book of World Records, the most adapted author in movie history, and this year alone there have been 41 adaptations of his work, culminating in the release of this weekend’s Macbeth, starring Michael Fassbender. 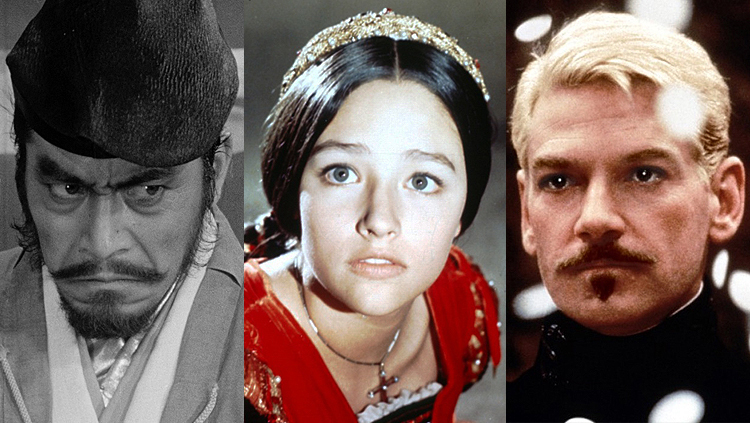 With that make William Shakespeare adaptations, the question on all of our minds is… which one is the best? And once again, in order to find out, we go to our expert panel of film critics: Crave’s own William Bibbiani and Witney Seibold, and Collider’s Brian Formo. They’re each going to single out just one film out of the whole history of William Shakespeare movies that they think qualifies as the very best, and as usual, they’re not going to agree on a single thing. Find out what they picked and let us know your favorites, and come back next Wednesday for another all-new installment of The Best Movie Ever! The collective works of William Shakespeare is a well that filmmakers keep returning to and—like the tragic-skewing nature of the Bard’s plays—it’s a double-edged sword. On one end, it can add an instant stamp of prestige to any film. But on the other end, his attached name must be lived up to with auteurist artistry, so as to not merely be seen as riding on the shoulders of a giant. In addition to the classy, straightforward adaptations, there have been some great updates of his plays for modern times (My Own Private Idaho, Romeo + Juliet, Richard III, etc.). But for me, the best Shakespeare adaptation doesn’t even include a single line of the Bard’s dialogue. It’s Akira Kurosawa’s Throne of Blood. Translating the Bard for modern English classes is difficult enough—let alone into a different language! Instead of attempting that, Kurosawa filmed extended moments of silence to tell the same story that Shakespeare does with monologues. 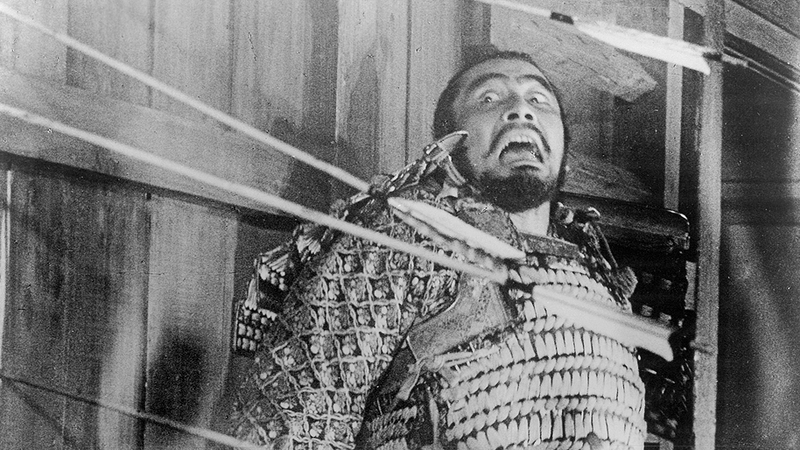 There are no witches who foretell Macbeth’s future (here named Washizu, played by the great Toshiro Mifune), Kurosawa has an unseen chorus chant foreboding words about “a warrior strong, yet weakened by a woman/driven to add his tribute to the throne of blood.” This chant occurs while Washizu and his servant are lost in a forest, caught in an eerie and beguiling fog. It makes the area around the castle feel appropriately small and vacant. We follow them for many minutes, as they are lost in every direction. As such, Kurosawa is able to convey the state of his mind (full of fog, instead of scorpions). And when his wife (Lady Washizu) plots the murder of the their Lord, Kurosawa subs Lady Macbeth’s speech with a prolonged sequence of her walking in circles, her swishing robe hitting the floor takes the place of the Bard’s words. Kurosawa is faithful to the structure of “Macbeth” and he’s just as patient and deliberate in showing the state of their minds. However, in true cinematic fashion, Kurosawa shows and doesn’t tell. This power-hungry tale is so universal—even with words stripped away—every culture can understand the tragedy. I felt too guilty to pick loose adaptations like West Side Story or Forbidden Planet this week. If you’re going to be “The Best William Shakespeare Movie Ever,” you’d better use his words and you’d better use them right. 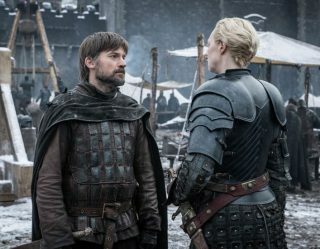 But even that’s a sticky wicket, since films that remain too faithful to The Bard’s lengthy dialogue and stage-minded plotting can sometimes come across as stiff. Or worse… interminable. Zeffirelli’s version doesn’t update the setting of Shakespeare’s play, and the prevalence of tights – which leave nothing to the imagination – might seem a little strange at first glance today. But that doesn’t matter because the passion between Juliet and her Romeo, played by Olivia Hussey and Leonard Whiting, is pure. It’s primal. And it’s young. 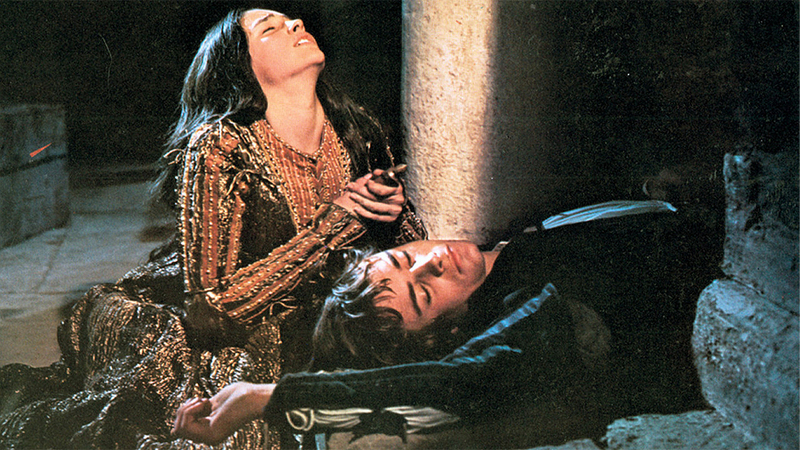 Zeffirelli bucked tradition by casting – for the first time! – teenagers in the title roles, and by embracing the folly of their youth. The emotions are real, and drive home the important point that if these two lovers weren’t so naïve, the whole tragedy might have been avoided. And so we come to Hamlet. Kenneth Branagh has said in interviews that Hamlet is the hoop through which every actor must eventually jump. This is also true of essayists, critics, students, dramaturgs, theater nuts, and anyone who reads. Hamlet is a literary colossus that, despite centuries of attempts, may not ever be fully unpacked. The joy of Hamlet comes from the attempt. 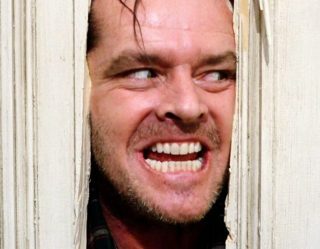 Hamlet is a particularly timely play in the modern age; in an era when every almost single piece of popular fiction is predicated on decisive action, and our myriad heroes are defined by staunchly fulfilling heroic roles, we could use the salve of a hero whose path leads to inaction. Hamlet’s path as a vengeful action hero is laid out in front of him, but he’s too smart to walk it. He’s more concerned with morality, with analysis, with a crippling infection of thought. There may not be one single production of this celebrated play that manages to capture every last nuance of Shakespeare’s vision, but one film comes awfully close. 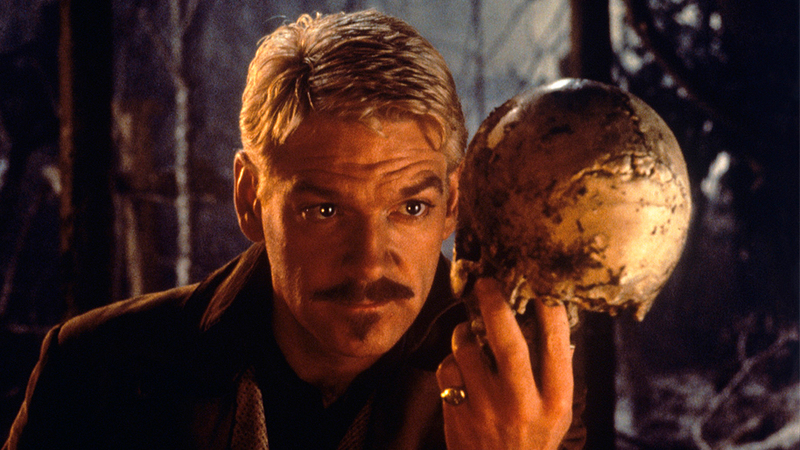 Kenneth Branagh’s version of Hamlet, released in 1996, is the only film production to attempt to give Shakespeare his full due. Branagh elected to leave Hamlet unedited, leaving in every last word, every baffling cameo, every strange plot conceit. As a result, we have a version of the play that finally breathes. We finally have a good sense of the play’s pace, we finally see the sociopolitical backdrop, and we see Hamlet not as broody and indecisive, but as an energetic, outraged, funny, somewhat dorky theater kid who is unready for his place in the adult world. Watching Branagh’s Hamlet is a relief. Finally, we can simply enjoy the beauty of Shakespeare’s language, the grandiosity of the drama. It also looks fantastic, having been shot in a real Duke’s palace, on the even-then-not-commonly-used 70mm format. The actors all feel perfectly at ease with a play every English-speaking human seems to already have in their minds somewhere. It feels unbound. And if any play should be unfettered, it’s Hamlet. If only more Shakespearean features were granted this luxury.